Length: 5 hours. 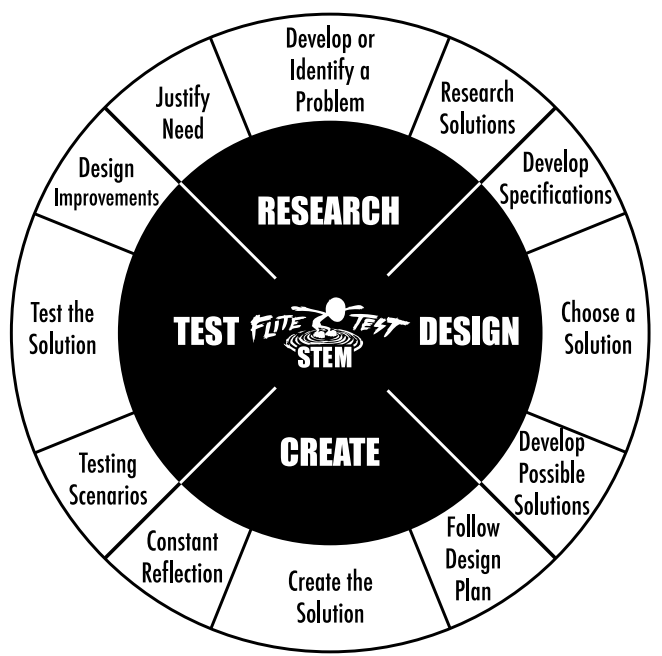 Beginners guide to implementing an FT STEM Lesson for UE, MS and HS. Note: If needed, you can pair students to one FT Sparrow. 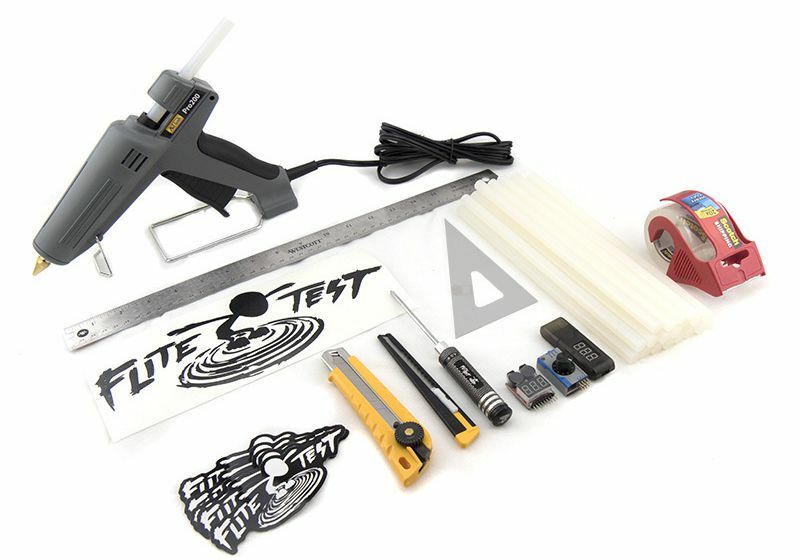 FT Foam Board (See Store For Options) or use extra foam board from FT Sparrow kit packaging. IMPORTANT SAFETY NOTE REGARDING HOT GLUE: Hot Glue Guns get extremely hot, and should always be handled with care. Young students should always be supervised when using hot glue. Review hot glue safety with your students prior to using hot glue guns. 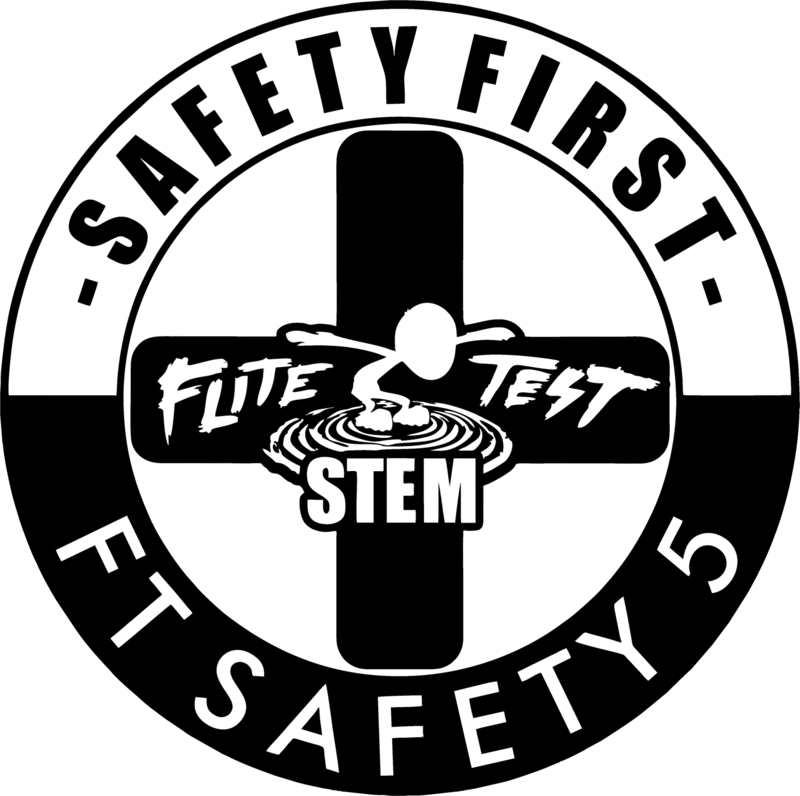 Explain the Flite Test engineering and design process. This process has four stages: Research, Design, Create and Test. Engineers use this process to solve problems, and this is the process students will use to complete this project. The diagram below illustrates the stages of the design process. Instruct students to create an onboard attachment for the FT Sparrow glider that can safely transport an egg 20 feet when hand tossed. Tell students to research possible attachment designs and make a list of ideas to try. 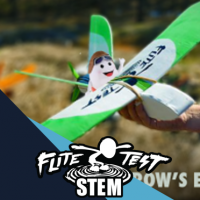 Suggest that students search FliteTest.com, YouTube or Google for inspiration. Students should now use what they learned from the Research stage to create a design. Instruct them to sketch out a few possible solutions on scratch paper. The FT Sparrow wing has three pieces: the main piece and two small spars. 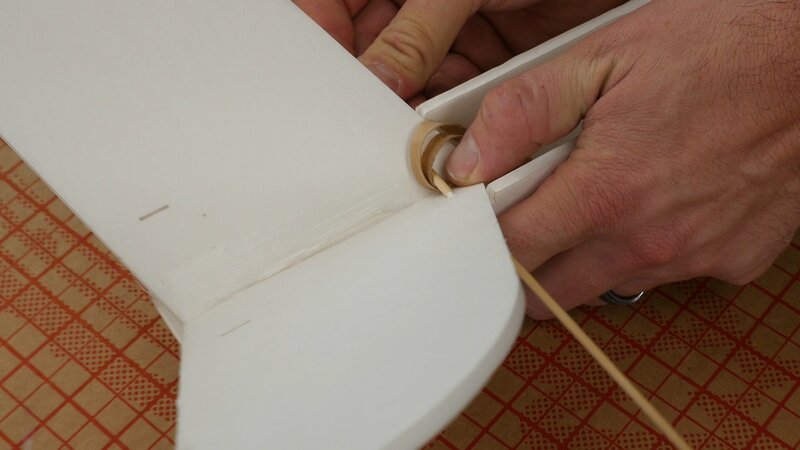 Glue the spars down on the wing. 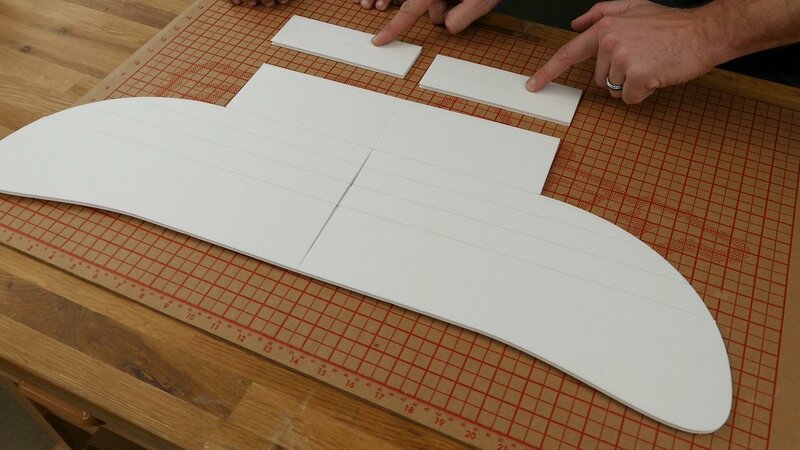 Use a marker to make a double bevel cut, fold the wing over and glue it down. Don’t forget to reinforce the seams with glue! 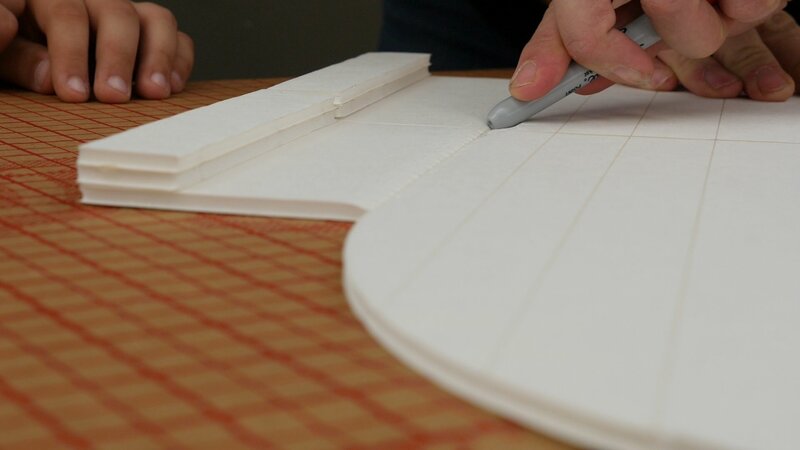 Use the dihedral gauge while you put glue in the center seam of the wing. Once that dries, reinforce the seam with tape to make the wing shape nice and strong. 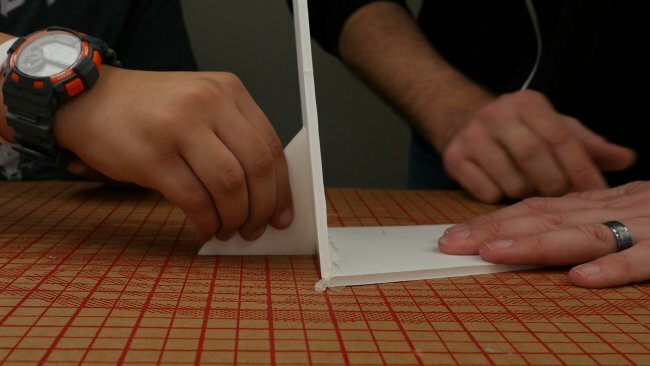 If there is too much glue in the seams, remove it to keep excess weight off the plane. Follow the score lines on the fuselage using a gift card. Use your fingernails to remove the excess foam. Remove the paper from the foam board that will be curved around the nose, then use glue to secure the nose doublers. 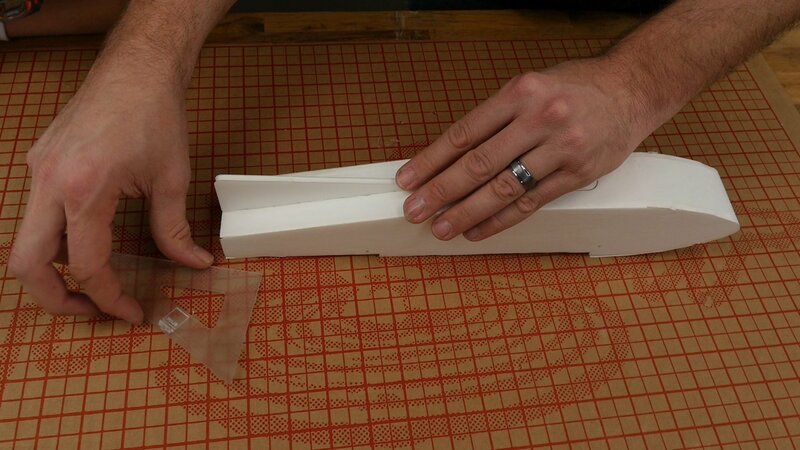 Use a B fold on the sides of the fuselage and glue them down. Try to keep the sides as close to a 90 degree angle as possible. 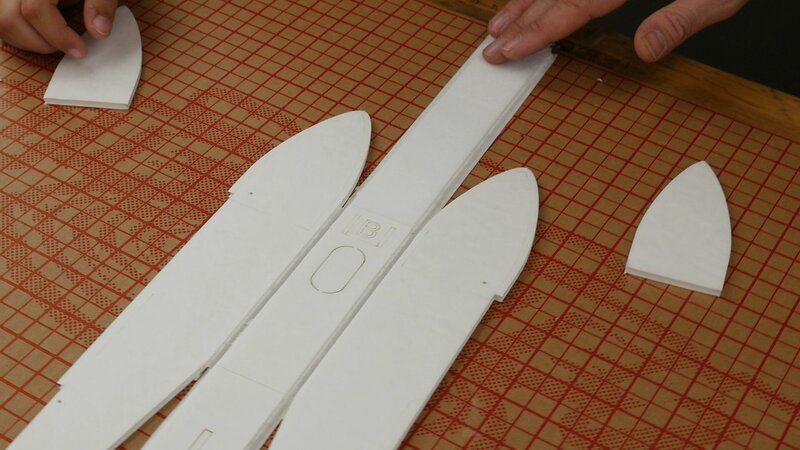 Glue the tail portion of the fuselage together. Wrap the foam around the bottom of the nose and secure it with glue. After that dries, crack the seam on the hatch and glue down the portion that meets the front of the nose. 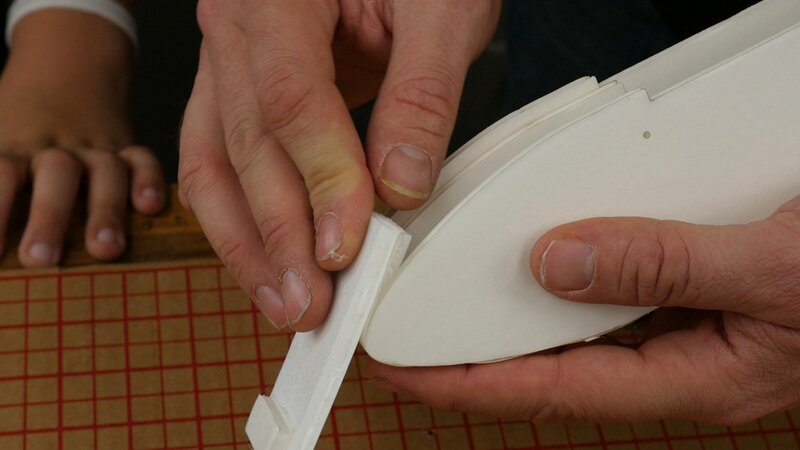 Reinforce the nose and hatch using glue. Then pop out the tabs on the bottom side of the fuselage. 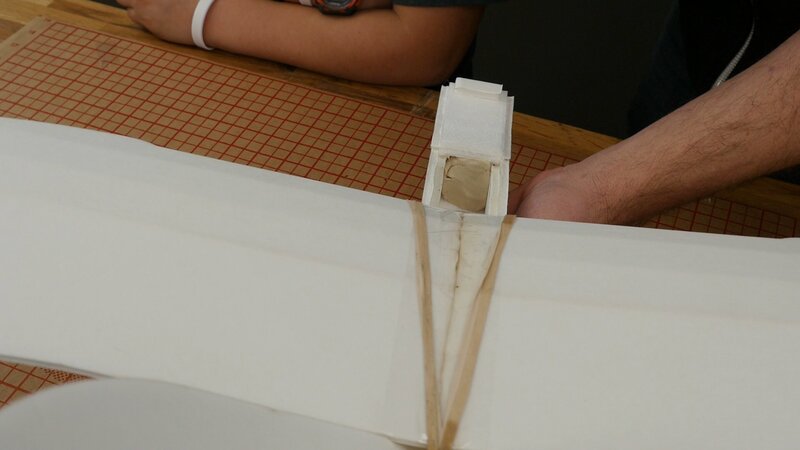 Use glue to attach the skid to the bottom of the fuselage. Pop out the thrower hole, and use a marker to smooth the edges. Tape the two tail pieces together on one side to make the V wing. Peel off the excess tape. Use a marker to crush the center edge. Put glue down the center and use the triangle gauge to hold the shape as it dries. Install the tail to the back of the fuselage. If the tail isn’t flesh against the reference lines, use your marker to increase the angle of the foam inside the fuselage. Glue the tail to the fuselage, making sure the tail matches the reference lines. Use a barbecue skewer to open up the reference holes in the fuselage and tail, and slide the skewer through. Cut away the excess, leaving a centimeter on either side. Insert the cut-down skewer into the tail. Loop two rubber bands on the skewer before pulling it through the other side. Pass the skewer through the nose. Leave about a thumb’s length on both sides of the nose and cut off any excess skewer. 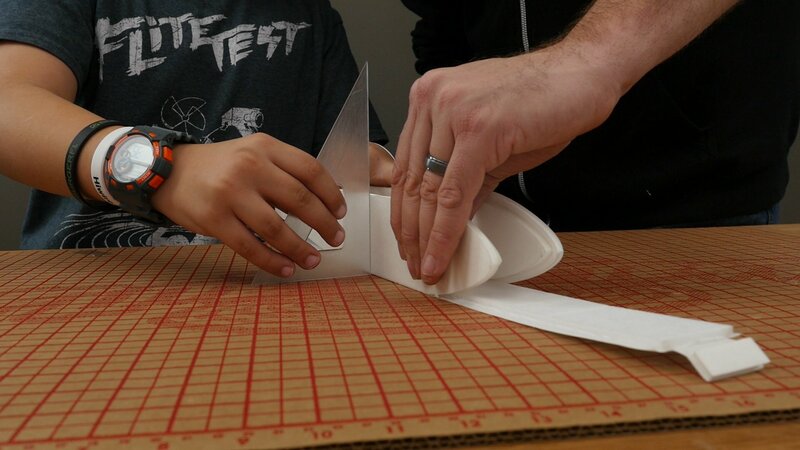 Place the wing on top of the fuselage, and secure the rubber bands to the skewer on the side of the nose. Add clay to the front nose until the plane is balanced. 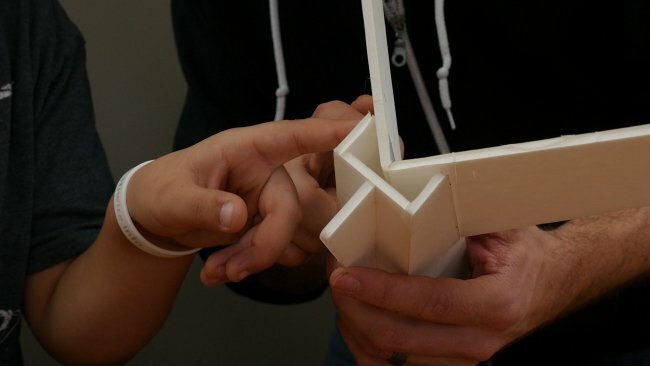 Lightly lift up both sides of the elevator to give it about a millimeter of deflection on both sides. Once their gliders are built, students should use foam board and the tools provided to create their egg-carrying mechanisms they designed and attach them to the planes. Set up a safe area to test the planes. Move any objects that could obstruct flight out of the way, and keep students behind the launch line. 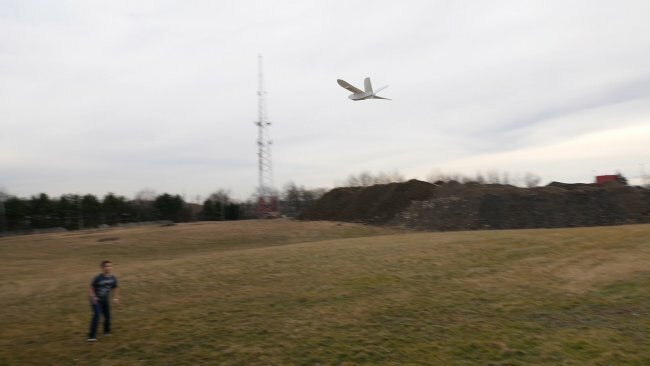 Mark a spot 20-feet away from where students will toss their planes, and let the testing begin! 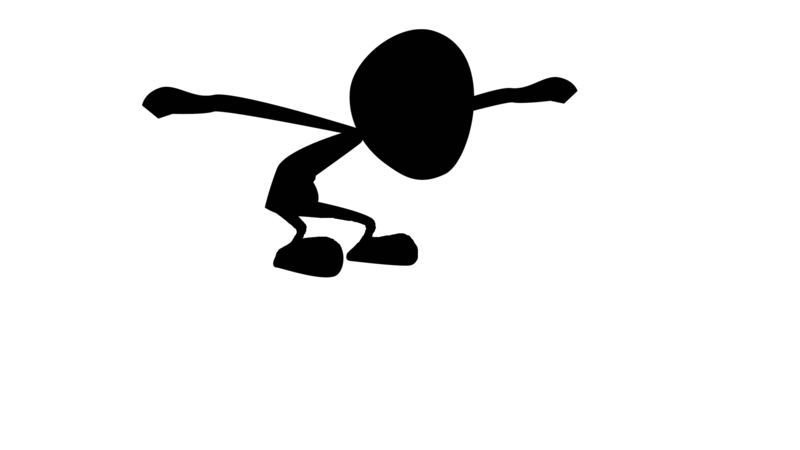 Sparrow must exceed 30 feet while not breaking the egg. 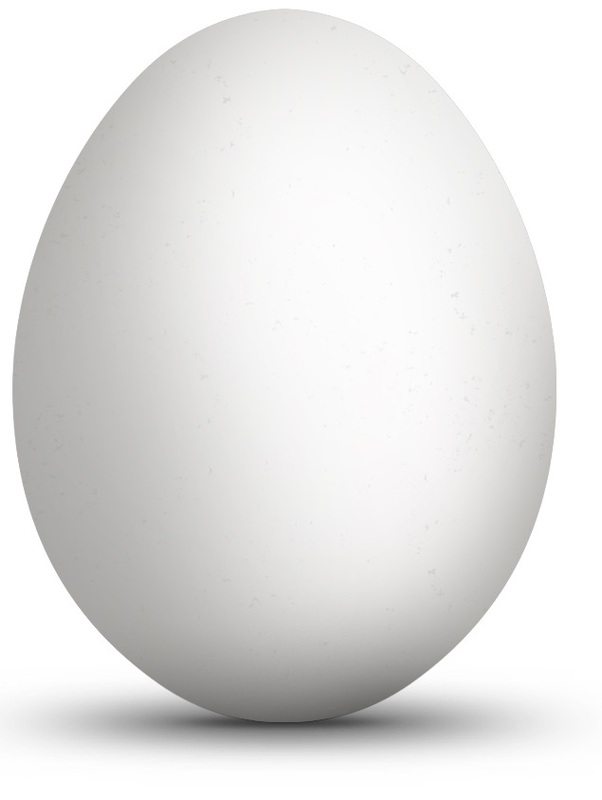 Longest distance test before breaking the egg. After the students have all tested their gliders, ask them to write a brief summary of their project. 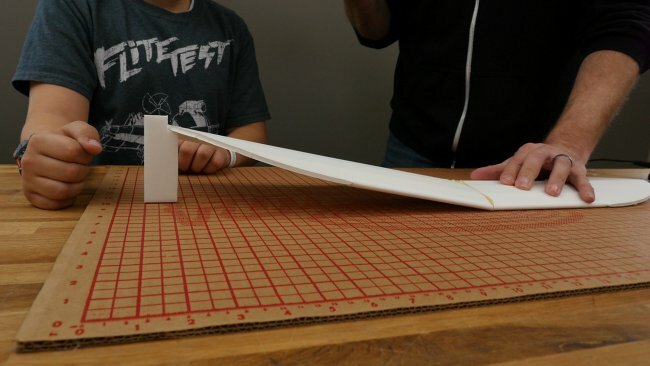 Students should talk about how far their glider traveled, whether their egg was still in tact, and ideas for changing their attachment designs to prevent the egg from breaking. Ready to take on your grade level FT EDM online? 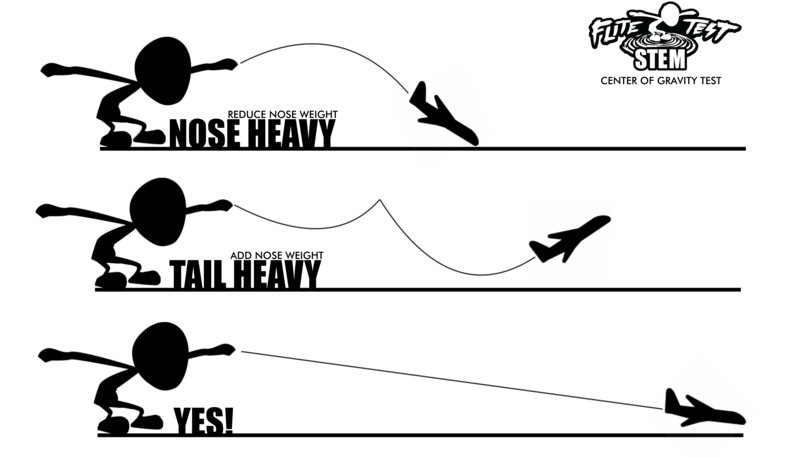 Using the students Hangar, have them document their process through the FT EDM online tool (see video tutorial below) solving the following problem using the students already created FT Sparrow! Problem to Solve: Without adjusting the FT Sparrow's fuselage, redesign the main wing and back stabilizers to accommodate longer flight times while still supporting your engineered egg support mechanism.